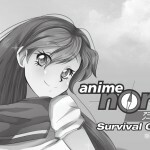 I was disappointed that I couldn’t make it to Anime North in Toronto this year but luckily Emily from Moon Chase recorded one of the panels which can be viewed below. 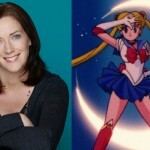 This panel, which was recorded on May 23rd 2014, includes Toby Proctor, the voice of Tuxedo Mask, John Stocker, voice director for the S and SuperS seasons of the anime as well as the three movies, Linda Ballantyne, the voice of Sailor Moon from Sailor Moon S and SuperS, Katie Griffin, the voice of Sailor Mars, and Susan Roman, the voice of Sailor Jupiter. Watch them take questions from the audience about their time recording Sailor Moon, including a humourous story about the dubbing of an adult film. This entry was posted in Conventions, Sailor Moon Anime (1992), Voice Actors and tagged Anime North, DiC/Cloverway English Dub, John Stocker, Katie Griffin, Linda Ballantyne, Sailor Jupiter, Sailor Mars, Sailor Moon, Susan Roman, Toby Proctor, Toronto, Tuxedo Mask by Adam. Bookmark the permalink.